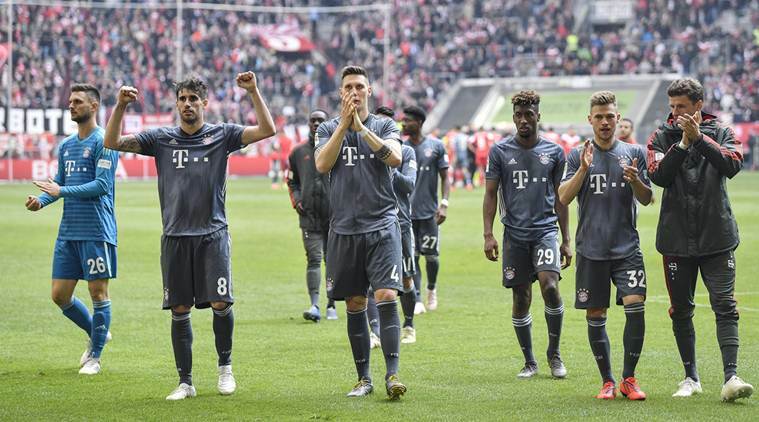 Champions Bayern Munich eased past hosts Fortuna Duesseldorf 4-1 on Sunday with winger Kingsley Coman scoring twice, to go a point clear at the top of the Bundesliga. The Bavarians are on 67 points, with Borussia Dortmund on 66 after their 2-1 win over Mainz 05 on Saturday, and five games left in the title race. RB Leipzig are in third place on 58.